This very large original oil captures the mysterious beauty of New Orleans' old French Quarter. 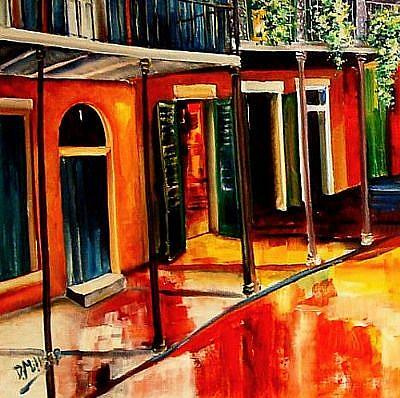 Rich, vibrant color and lively brush work convey the personality and spirit of this beloved city. 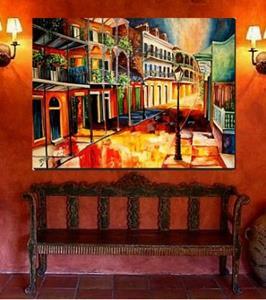 It is painted on a 46" x 32" gallery wrapped canvas, which may be hung unframed if desired, (The 1" deep sides are also painted, and a picture wire kit is included.) 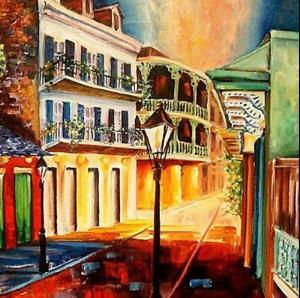 This is an original work, and a certificate of authenticity will be enclosed. 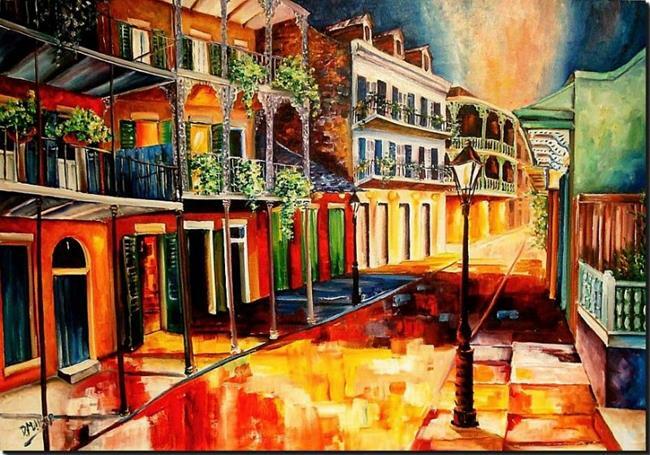 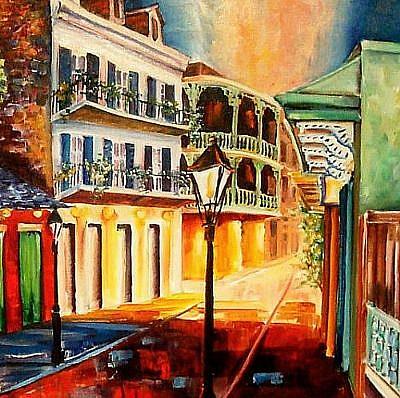 Many of Diane's New Orleans images are in print, and this is an opportunity to own an original.